NASHVILLE, Tenn. — American evangelicals remain among the strongest supporters of the nation of Israel. Most believe God has plans for that nation, both now and in the future. And many of America’s preachers say Christians need to support Israel. Those are among the findings of a study of American attitudes toward Israel and the Bible from Nashville-based LifeWay Research. As part of the study, researchers conducted two separate surveys of 1,000 Americans, along with a survey of 1,000 senior pastors of Protestant churches. Researchers found evangelicals see a close tie between God and Israel. About 7 in 10 (69 percent) say the modern nation of Israel was formed as result of biblical prophecy. 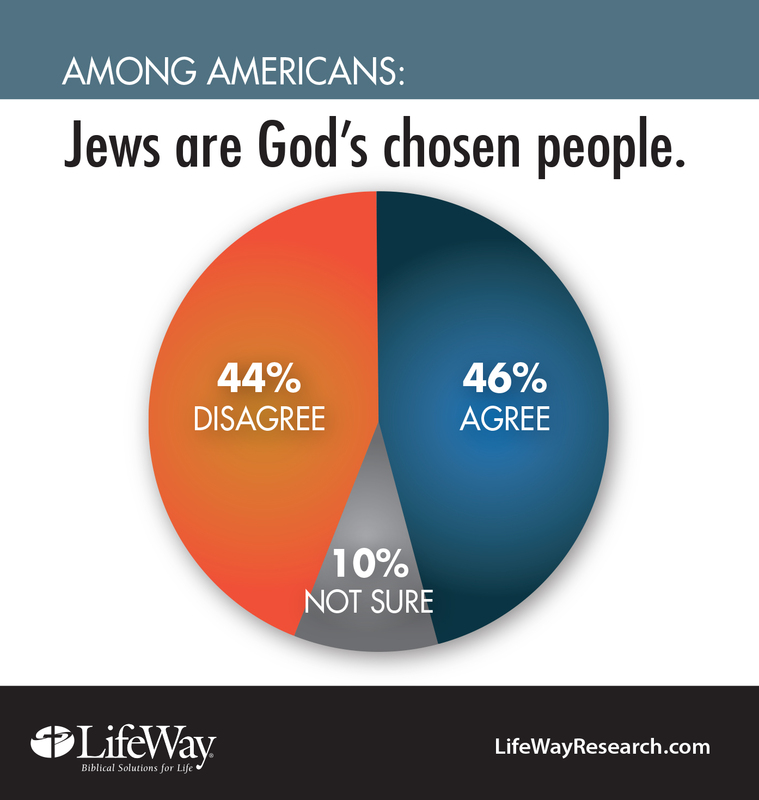 A similar number (70 percent) say God has a special relationship with the modern nation of Israel. And nearly three-fourths of evangelicals (73 percent) say events in Israel are part of the prophecies in the Book of Revelation. While evangelicals remain convinced about a tie between Israel and God’s plans, Americans generally are less certain. Less than half (46 percent) believe the formation of modern Israel is a fulfillment of biblical prophecy. More than a third (36 percent) disagree, while 17 percent aren’t sure. Americans are split down the middle over whether Jews are God’s chosen people as referenced in the Bible, with just under half (46 percent) saying they agree. A similar number (44 percent) disagree, while 10 percent are not sure. And some Americans think God was closer to ancient Israel than to the modern-day nation. About two-thirds (64 percent) of Americans say God had a “special relationship with ancient Israel.” About 1 in 4 (27 percent) disagrees, while 9 percent are not sure. In contrast, only 48 percent of Americans say God has a special relationship with modern Israel—fewer than the 53 percent of Americans who believe God has a special relationship with the United States, according to previously released LifeWay research. About 4 in 10 (39 percent) disagree that God has a special relationship with modern Israel, while 13 percent are not sure. Evangelicals (70 percent) are much more likely to agree than Americans who don’t identify as evangelicals (38 percent). Overall, nearly half (47 percent) of Americans believe events in Israel are tied to the Book of Revelation. Forty percent disagree, and 13 percent are unsure. Younger Americans, those 18-24, are less likely (36 percent) to see a tie between Israel and the Book of Revelation than those 45 and older (52 percent). Women (52 percent) are more likely to agree than men (42 percent). Those with graduate degrees (24 percent) are much less likely to agree events in Israel are part of the prophecies in Revelation than those with a high school degree or less (55 percent). Schooling and prophecy both play a role in how Americans view Israel. 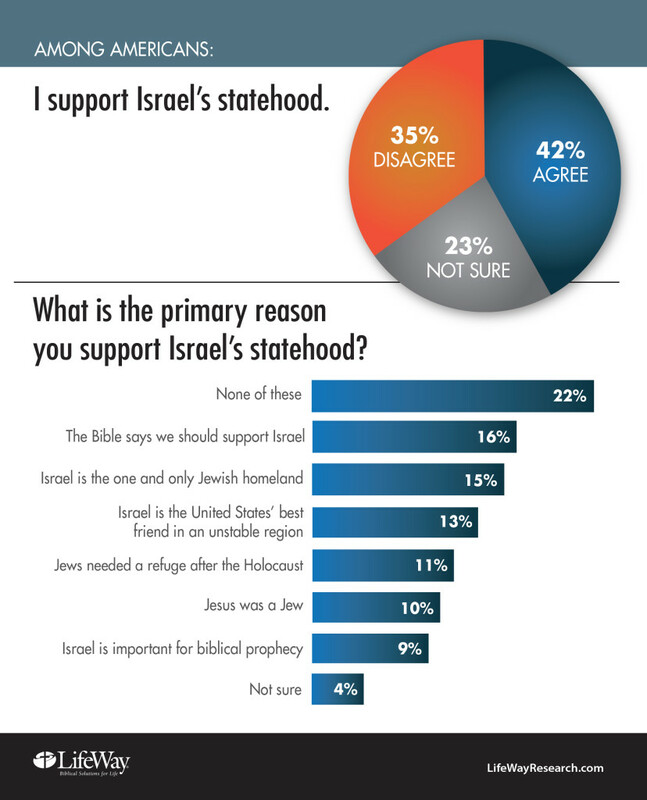 When asked whether they support Israel’s statehood, 42 percent agree, while 35 percent disagree. One in four (23 percent) is not sure. Higher levels of education correlate to higher levels of support for Israeli statehood. Those with a graduate degree are most likely to be supporters at 61 percent, followed by those with a bachelor’s degree (56 percent), those with some college (43 percent), and those with a high school diploma or less (31 percent). Slightly more than half of men (51 percent) say they support Israeli statehood, compared to a third (33 percent) of women. Support is also significantly higher among evangelicals (50 percent) than others (39 percent). Supporters are split on the reasons they back Israel. Sixteen percent say the Bible tells them to, and 9 percent say it’s because Israel is important for biblical prophecy. Some (13 percent) say they support Israel primarily because Israel is America’s best friend in the Middle East. Others say it’s because Jews needed a refuge after the Holocaust (11 percent) or because Israel is the one and only Jewish homeland (15 percent). Though the term Zionist is synonymous with believing Jews should have their own state, only 8 percent of Americans claim this label. A third (32 percent) of Americans are not sure whether they are Zionist. Among the most ardent of Israel’s supporters are senior pastors of Protestant churches. 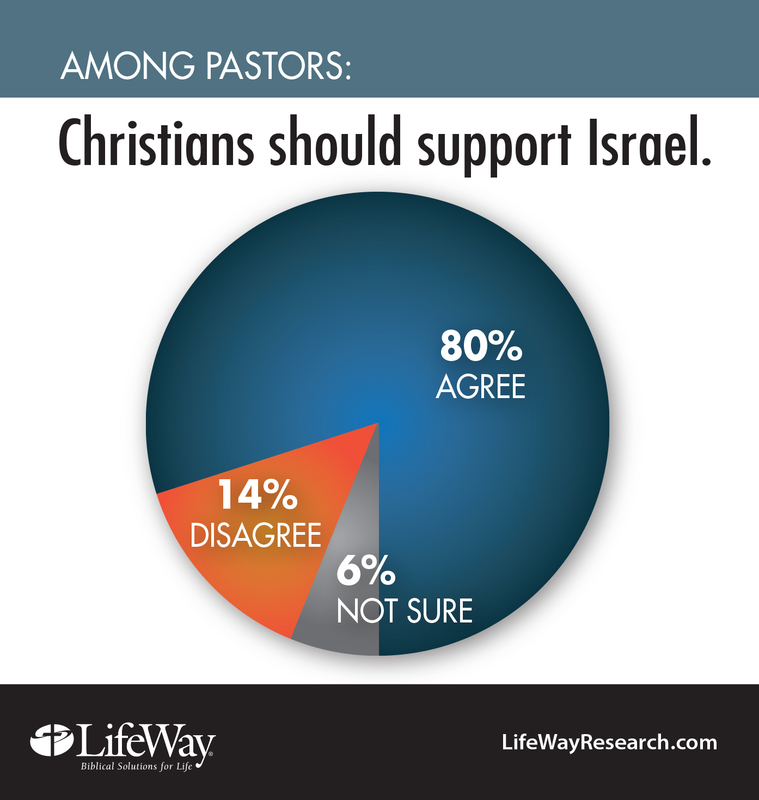 Most (80 percent) agree “Christians should support Israel.” About one in 7 (14 percent) disagrees. Even though they support Israel, some pastors have their doubts about Israel’s military actions. About 4 in 10 (41 percent) agree with the statement, “It is hard to defend Israel’s military tactics.” Fifty percent disagree, while 9 percent are not sure. Bob Smietana is former senior writer for Facts & Trends magazine. The phone survey of Protestant pastors was conducted September 11-18, 2014. The calling list was a stratified random sample drawn from a list of all Protestant churches. Each interview was conducted with the senior pastor, minister, or priest of the church called. Responses were weighted by region to more accurately reflect the population. The completed sample is 1,000 surveys. The sample provides 95 percent confidence that the sampling error does not exceed plus or minus 3.1 percent. Margins of error are higher in sub-groups.